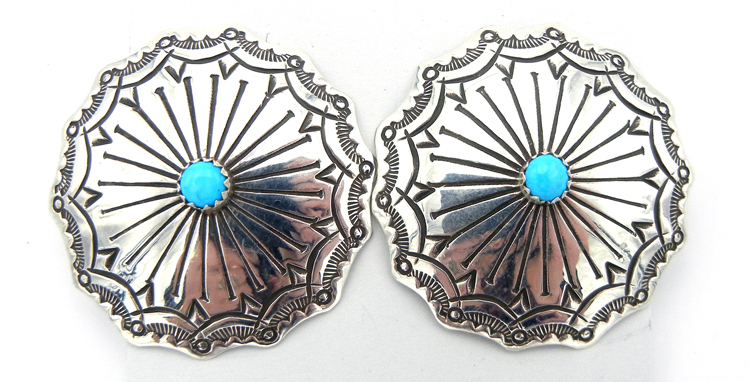 Large, round panels of sterling silver with scalloped edges are set at the center with small, round turquoise pieces in these traditional Navajo concho style earrings. 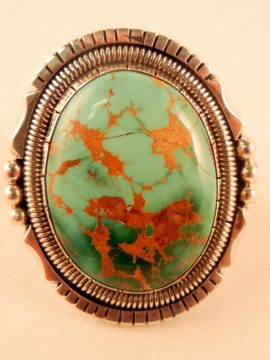 Each of the sterling silver panels sis tamped with fine line, triangle, scallop, and dot designs, while each blue turquoise piece is set in a sawtooth sterling silver bezel. 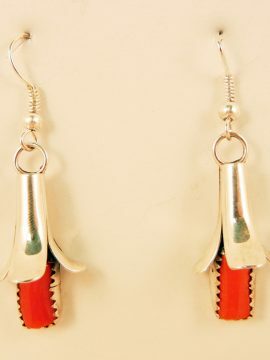 Earrings are post. 1 1/2″ diameter.